Before the rise of inbound marketing, traditional marketers would often broadcast their messages to as wide an audience as possible. Their tactics were expensive, interruptive, and, perhaps most egregiously, untargeted. This antiquated, one-size-fits-all approach to marketing didn’t take into account who the target audience actually was. Instead, people were seen (and marketed to) as a single mass of potential customers. 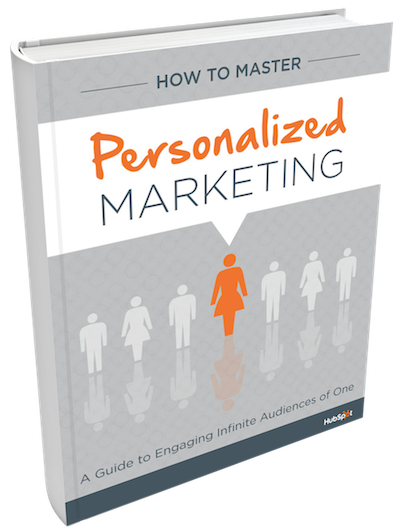 With personalization, marketers can provide relevant, highly targeted content based on a variety of criteria. This includes a person’s location, the device they're using, and whether a person is an anonymous visitor, a lead who is already in your contacts database, or an existing customer. I want to learn about personalization!